Discover Your Unique Capabilities Today - FREE! Craig is an outstanding communicator who has a natural ability to connect with people. He uses humor, stories and a natural conversational style to help people understand complex ideas. He uses his strong business acumen to help others succeed and makes people feel comfortable and secure. He has the ability to quickly evaluate a situation and see beyond the surface. Craig asks the “right” questions in a way that helps others discover solutions and a find a way forward. He sees the big picture, is very focused on specific goals and aligns his energy in that direction, identifying and overcoming obstacles. Craig is passionate about leadership development with a focus on helping people discover an awareness of their potential, empowering them to achieve it, and become people of influence. He believes that we are all endowed with infinite potential. He has coached, mentored and trained over 10,000 individuals over the past 30 years and can think of no greater way to spend his life than developing others. 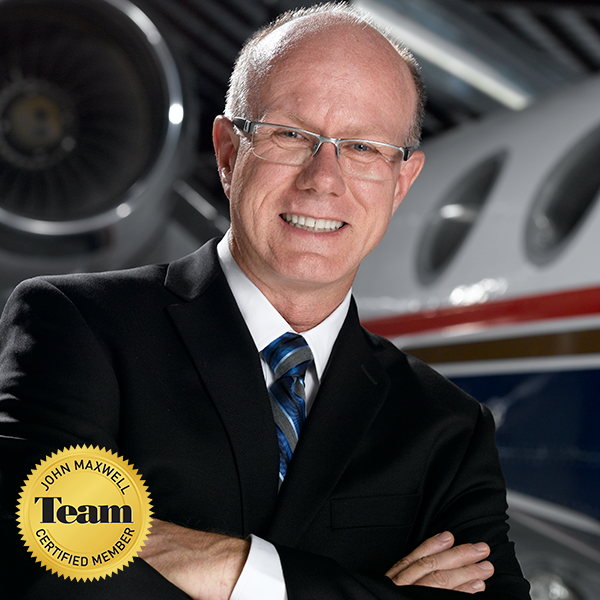 Craig is a certified Coach, Trainer and Speaker for the John Maxwell Team (JMT) and a member of the JMT President’s Advisory Council. He is also a member of the Simulcast Advisory Committee for Live2Lead, an annual global leadership event produced by the John Maxwell Company. Craig can offer one on one coaching, group and team coaching, lunch and learn sessions, mastermind groups, workshops, seminars, and keynote speaking. He will work with you to identify your needs and customize a solution that brings the most value to you, your team and your clients. Craig has spent over 30 years in leadership positions with both for-profit and not-for-profit organizations, working for public and privately-held organizations. He has led small and large organizations for Fortune 500 companies, philanthropic, leadership and church organizations. I believe that we are all endowed with infinite potential. Unfortunately, many travel through life unaware of the incredible opportunities simply waiting to be released and experienced by them. Equipping them with the knowledge and tools they need to prepare for the road ahead. Igniting passion within them to achieve excellence in their calling. Inspiring them to reach for and achieve their dreams. Why Craig Huston and not someone who just took an online course, ran down to the office supply store, ordered business cards and became a self-proclaimed expert? First, I have over 30 years of leadership experience in for profit and not-for-profit organizations. I’ve worked for Fortune 50 companies, including the only company listed on the original DOW Jones Industrial average that is still in existence, large not-for-profit organizations including an affiliate of one of the largest non-profit’s in the world. I’ve successfully lead very large teams and very small teams and participated as a leader in a global change initiative involving over 88,000 employees located at over 250 sites on four continents. I’ve had the opportunity to coach, mentor and train over 10,000 individuals over the past 34 years. And I am a successful Entrepreneur and Business Owner. That makes me a great thinking partner. Second, I continually invest – heavily – in my own personal growth including having coaches and mentors that are continually challenging my thinking and raising my awareness. I pass along and share what I am learning with my clients, often real time. My High-Impact Coaching Clients, Mentorship Inner Circle, Elite Master Coaching, and Mastery Class Clients all reap the benefits of my hard work and experience. And third, my training and certification as a Professional Coach has involved a significant personal and ongoing investment in time, money and effort. My coaching mentor is the UK’s leading expert in the psychology of success that underpins extraordinary Entrepreneurial achievement and is Britain’s leading Coach and Mentor to business owners. He’s an internationally acclaimed Master in the field. Since 2006 he’s trained, taught and mentored thousands of Professional Coaches in over 120 countries to the highest standards in the Coaching industry, and some of the biggest names in the self-improvement industry hire him for his expertise. He currently collaborates in a Joint Venture with the U.S author and global authority in leadership, John C. Maxwell, where I was first introduced to him. Finally, combining world-class training and development by world-class mentor’s with world-class experience with some of the best companies and organizations in the world gives you a thinking and coaching partner you just won’t get anywhere else. My beautiful wife, Madelyn, and I reside in South Florida. We have two grown children, one is married and living in Southern California with our beautiful daugther-in-law, the other is pursuing his dreams in Boston. We are very proud of them. Contact Me. I am looking forward to assisting you on your journey to becoming a more successful entrepreneur, business owner and leader.